We have experience on both sides of these issues, and can bring a claim on behalf of someone injured or defend a business against a dispute. You don't need to sacrifice one for the other. At Peavy Law, LLC, we are a small but experienced law firm consisting of one lawyer and one legal assistant. By staying small, we can provide you with personal attention, keeping you up to date on your case and answering your questions quickly. Yet, in our case, small doesn't mean inexperienced. 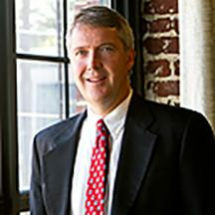 Attorney Jay Peavy has more than three decades of litigation and appeals experience. Don't settle for a large law firm that doesn't give you the time of day. Don't settle for an attorney without experience. Instead, turn to a law firm focused on getting you results: Peavy Law, LLC.